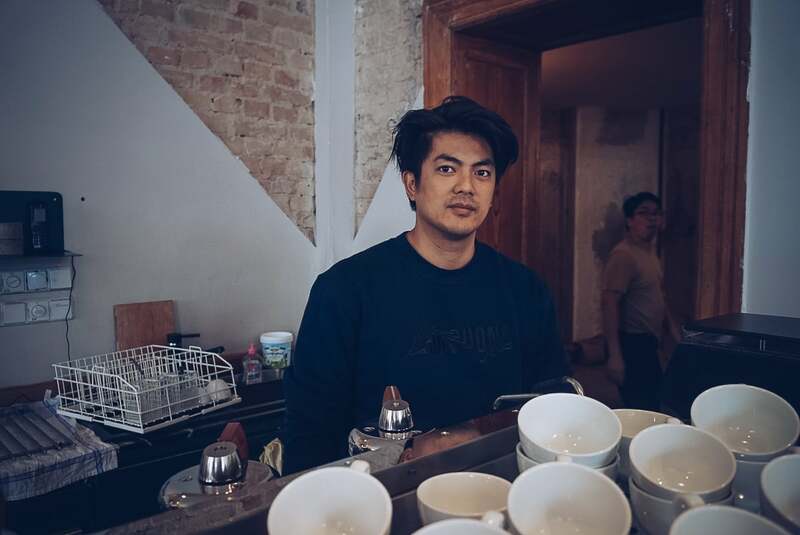 Vietnamese-German restaurateur Nguyen Ngoc Duc and his team have developed seven restaurants, six of which operate in Germany. 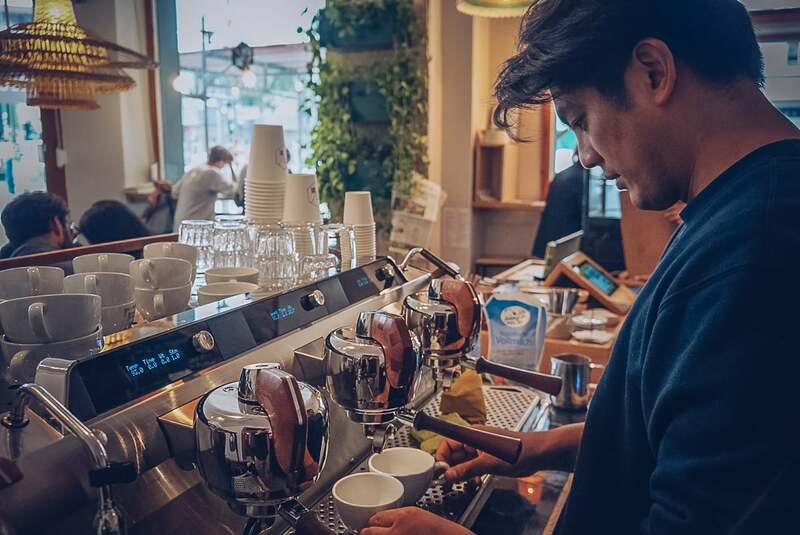 They’ve simultaneously built a fast-growing coffee roasting business, opening Berlin’s first Vietnamese coffee shop, while supplying some of Germany’s best-loved Vietnamese restaurants. 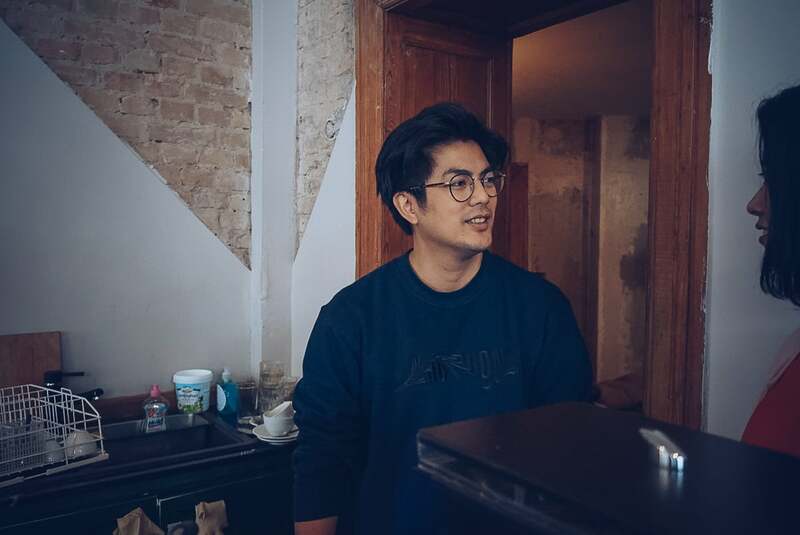 We met with his team at their most recently opened restaurant, Maison Han, to learn more about their sense of connection to Vietnam as German-born Vietnamese, and what they have cooking up for us in the future. Tell us how you got started in the food and beverage industry. I teamed up with a Vietnamese-German doctor because we were both passionate about Vietnamese food. We wanted to change people’s perception of this cuisine by showing how colorful it can be. My business partner also introduced me to more of the Vietnamese community. And before food? I worked in digital communications for a marketing agency. At the same time, I was helping out with my girlfriend’s restaurant business. So which restaurants in Germany are you affiliated with? Are you interested in opening more? 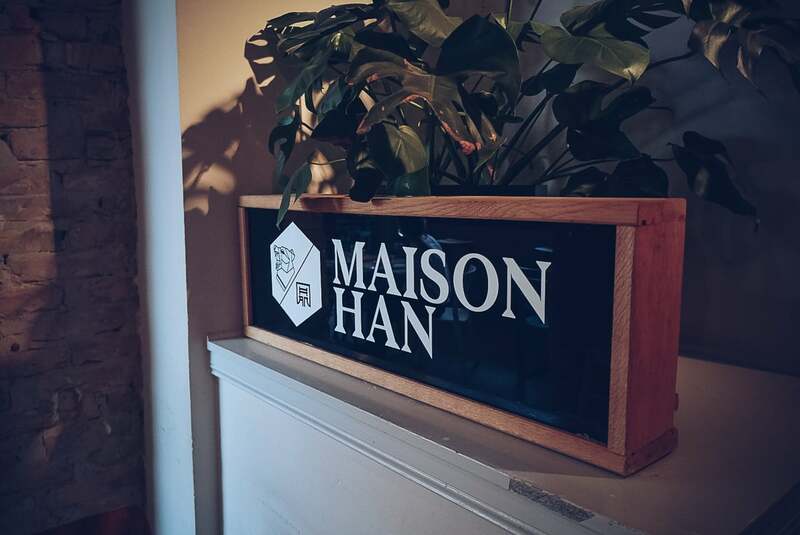 In Berlin there’s Maison Han, Royals & Rice Berlin, QUA PHE and Banh Mi Stable. There are two other Royals & Rice venues in Munster and Oldenburg. Our team will open one more soon—also called Royals & Rice—but with more of a street food concept. We’re also keen to create a Vietnamese burger that will allow us to compete in some of Germany’s burger competitions. How do you manage such a large operation? Between all the restaurants, we have over 200 unique ingredients and more than 60% are prepared in advance. When our team is on the floor and serving customers, this advanced preparation helps them to concentrate on the final stages of the product, like the plating and presentation. We plan to open three more restaurants within the next six months. We’re still having fun, and that’s key to keeping our energy levels up. In Germany, how would you describe people’s perspective of Vietnam, and of Vietnamese people? If you asked me five years ago, people’s awareness mostly centered on the Vietnam War. But now Germans are much more aware of Vietnamese food. We are one of the best integrated immigrant communities in Germany—both culturally and professionally. So, overall in Germany, perceptions are positive. The Vietnamese community is spread throughout the country, rather than concentrated in just one place. This has helped our community become more easily attuned to German society. But perhaps the new generation of Vietnamese-Germans are more opinionated than previous generations. What can overseas Vietnamese people do to forge stronger connections with their homeland? I think when we compare ourselves to other Asian countries, like Japan, we see a proud culture. They take care of their image. Even after multiple conflicts, the Japanese have been able to rebuild their image—through manga or samurai movies. When people know more about a culture, they feel a connection with it and are more compelled to visit. Many young Japanese are proud to be Japanese. Their brand power is so strong that other Asian people want to adopt the Japanese cultural identity. 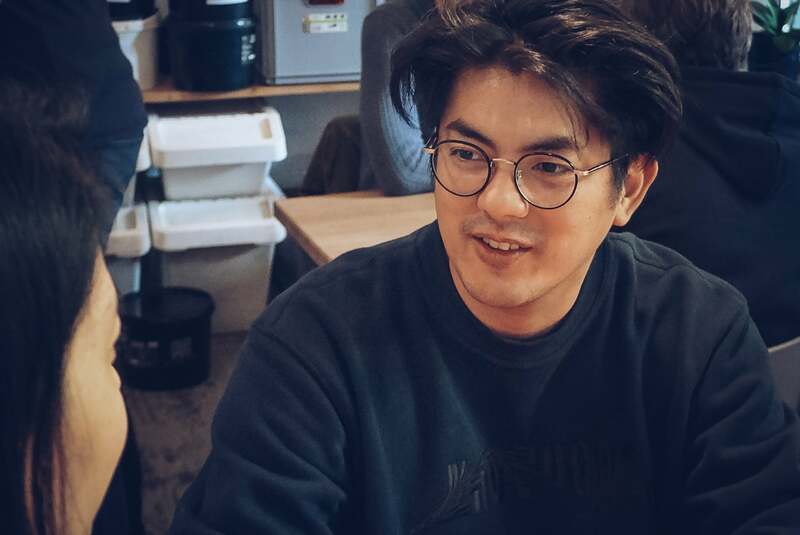 That permeates right down to details like how they engineer products with a Japanese aesthetic, or how they conduct business and even how they live their lives. The Vietnamese brand, however, needs a good concept and a way to better articulate its ideas. 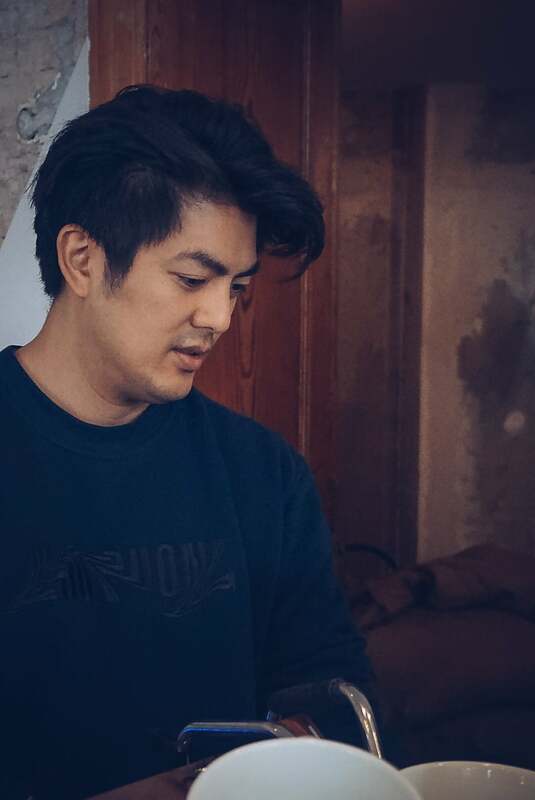 We need to connect Vietnamese people based in different countries, support them and build that story. There should be more ways to showcase what the Vietnamese are doing. There need to be more stories that show young people about the positive sides of Vietnam. It’s important to build Vietnam as a brand. What are your first memories of visiting and experiencing the country as an overseas Vietnamese? By motorcycle. When I ride a motorcycle, I feel free. In fact, the first time I rode a bike was in Vietnam. I was 20 years old. When I went back to Germany, I applied for my motorcycle license. Since then, I have driven a motorcycle around town. When I’m back in Vietnam, I’ll borrow a bike and make time to drive through the mountains and coffee fields. Would you ever consider moving to Vietnam? Over the last five years, I’ve visited Vietnam six times. Whenever I have time, I try to pay a visit. I arrange my working schedule so that I can still be productive while traveling. And actually, I dream about starting some businesses in Vietnam eventually. In Ho Chi Minh City, the day seems to go by so fast. It doesn’t feel as productive as it is in Berlin. It might take some mental preparations for that transition. We roast our own coffee and sell it throughout Germany. We always want to know where our coffee comes from. That’s why we make trips to Vietnam. Our team has also traveled throughout Central and South America to visit coffee plantations and places to learn about the coffee cultivation process, and to better understand the trade over there. We’ve also started relationships with Vietnamese coffee business owners. Back home, after we began delivering to our own restaurants and shops, other business owners started asking for our beans. 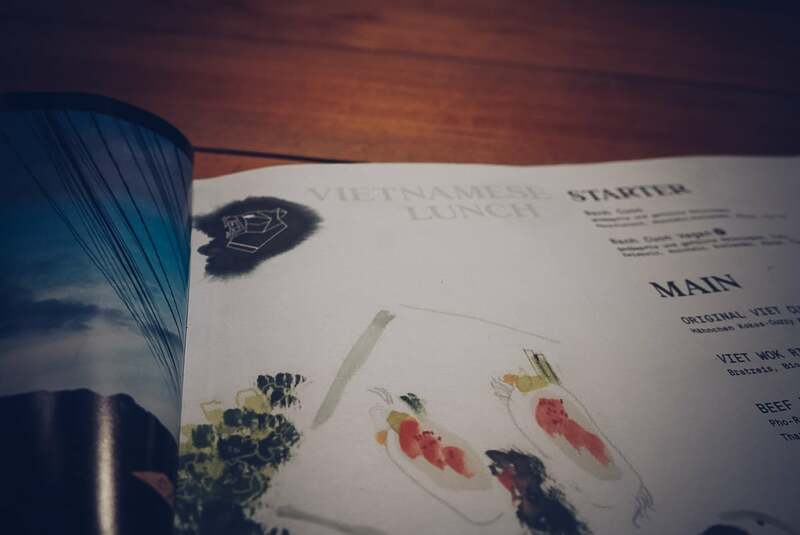 We’re delivering mainly to other Vietnamese restaurants in Germany such as Monsieur Vuong, one of Germany’s most iconic Vietnamese restaurants that has been around for more than fifteen years. With our experience in the roasting business, my girlfriend and I opened a coffee shop, QUA PHE. It serves traditional Vietnamese food and cafe options. 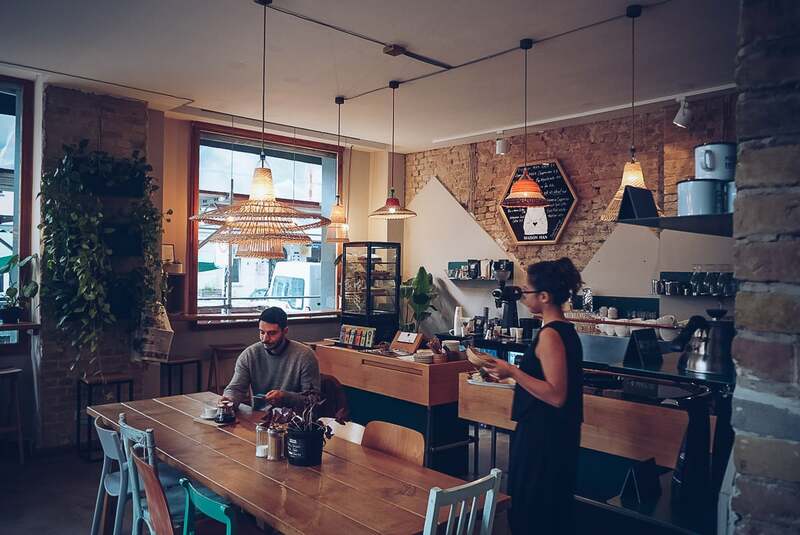 It’s the first Vietnamese coffee shop in Berlin. We also like to serve a variety of Vietnamese food, not just pho and summer rolls, but dishes like banh gio, banh bao and pho cuon. Who should we speak with next? Hanh Nguyen-Schwanke from HORAMI, a baby book publisher that releases works in both German and Vietnamese. Also, Tu-Lam Pham. He’s a Vietnamese-German financial industry expert. He’s now a professor, and he previously ran a successful online business as well.